Professor Thurman’s scholarly and popular writings focus on the “inner revolution” that individuals and societies successfully negotiate when they achieve enlightenment. He defines this inner revolution as accurate insight into the true nature of reality and determined compassion for the suffering beings. He also works toward what he terms a “Second Renaissance,” which he sees currently taking place as Western culture goes beyond the 14th century European discovery of the natural sciences of the ancient Greeks that catalyzed the “first renaissance” to discover and apply in practice the advanced “inner science” of ancient Indian culture. Thurman’s work and insights are grounded in more than 35 years of serious academic scholarship. 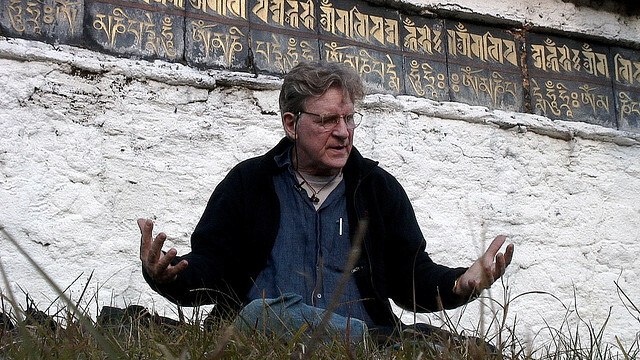 He has a B.A., A.M. and Ph.D. degrees from Harvard and has studied in Tibetan Buddhist monasteries in India and the United States.